There are thousands of personal finance blogs online with additional sites popping up every day. What motivates people to launch their own blogs to share their insights and journey? 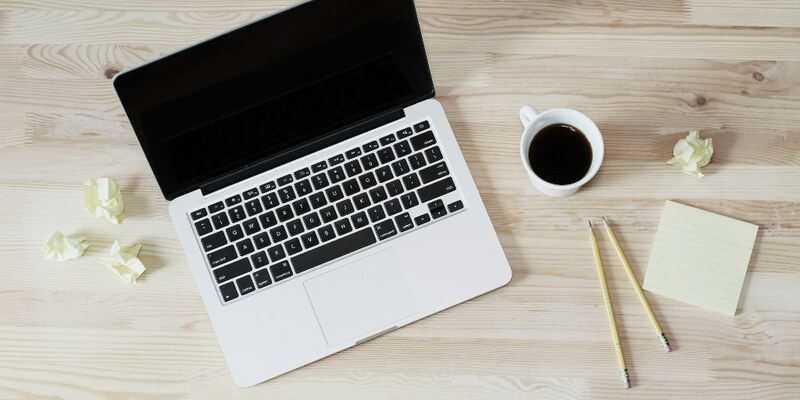 Today’s guest post, from Bryan of Bucks and Cents, shares one perspective of how starting a personal finance blog can be a transformational experience. On the surface, one could say my old life had everything that demonstrated success and happiness. I had a McMansion in the suburbs complete with brick paver walkways and a lush landscape. There were a lot of social events that were hosted for my elite engineering posse of family friends. My kids had a 1,000 square foot play area in the basement complete with trampolines and every single plastic toy imaginable one could think of. I was living a utopian lifestyle where everything was perfect… or so it seemed. Well, utopia comes with an expensive price tag. I also had bills… A lot of them. At the end of the day, everything has to be paid for. If not, then you go into debt. It is that simple. So what we do is we make judgments and place a value – either directly or indirectly – on our purchases. Whether or not we are married, single, divorced, widowed, or partnered, everyone makes a value judgment when they spend their money. This answer is different for everyone. For me, it took me a long time and over a decade to realize that my utopian lifestyle was not a state of happiness and perfection that I thought it was. Yes, on the surface it was wonderful, but when I started to look deeper, I realized all kinds of dark and black areas. Financial commitments were controlling who and what I was. I was stuck in this lifestyle that demanded a lot of money to pay for it and therefore I had to come up with other side hustles. For eight years, I slept only five hours a night. I was stuck in this stressful financial merry-go-round, and I had no freedom to do the things I wanted to do in my life. I finally got to a point where I could not live that lifestyle anymore and I had to change my life. Over the course of six months, I built a new financial foundation. I looked at all my expenses and if it was not a need, I got rid of it. Today I am happy to say that I reduced my monthly spending by over $2,000 and I am now saving that money into my retirement. You can read more in-depth about my Journey to Financial Freedom on my own blog. 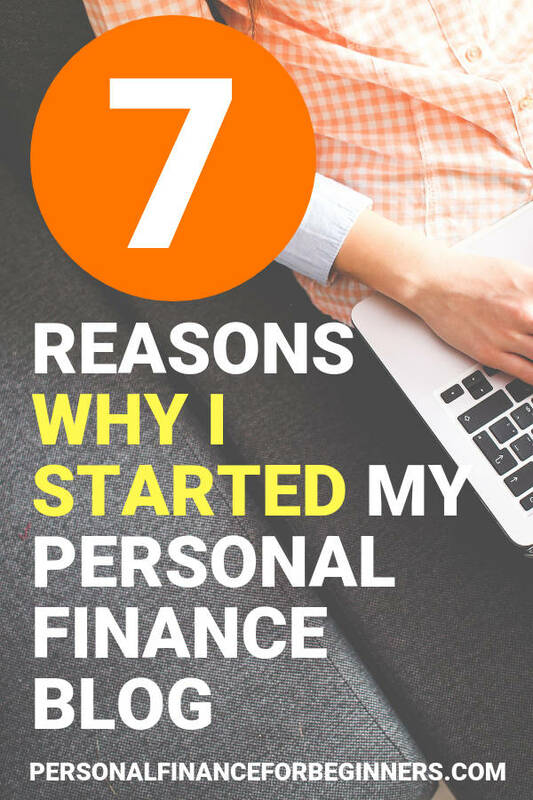 So why did I start a personal finance blog to share my experience? One of my main reasons I started a personal finance blog was because I needed a challenge. My life was at a crossroads and I needed a new direction. I needed something to focus on that was positive in my life. Maybe because I was approaching middle-age or that I have been at the same job for almost two decades, but I felt as if I did not have any positive outlets. I can and do manage tens of millions of dollars. However, I never really have considered that a personal success in my mind. Yes, they are great skills to have … Being able to negotiate and have political astuteness on a whole range of issues. But do the skills I have flow down to help people on an individual level? No, they don’t. I knew then that I should be doing something more meaningful for others on a personal level. I thought starting up a blog would be a great way to gain some new skills for myself. Yes, I can manipulate an Excel spreadsheet like none other, but when it came to things like hosting and running a website, I was clueless. I had never sent out a tweet before, been on Pinterest, or known what SEO was. I have been at my job for almost TWO DECADES! That is pretty much unheard of these days. The skills I have are all that I know. I have never bothered to learn new things since it is unlikely that I will ever leave. Given that advancement was unlikely at my job, it made me think a lot about the current state of my life. It came down to a decision I had to make. Did I want to continue with the status quo? I decided that I should learn some new skills in a completely different area. During this time period of six months I referenced above where I rebuilt my financial foundation, I decided that I need some type of documentation. I decided to start a personal finance blog to document my financial journey. I knew that I was going to make drastic lifestyle changes in my mind. And in fact, I did. I had a record of all the financial changes that occurred. Starting up a blog was a way for me to document everything sort of like an online ledger. Additionally, I wanted to have a place to go to so I could see and refer back to my financial picture. I also wanted to become more financially aware of my expenses. Before I was just used to paying my $80 application for weed control on my lawn every month without giving it any thought. Once I had my blog up, I was also much more aware of the purchases I was making. By documenting savings and expenses each month, I paid a lot more attention to the everyday purchase transactions that took place. Every time I made a purchase, I questioned it in my mind. I developed a much stronger money mindset when it came to making purchases. Questioning the items that I bought allowed me to be more in sync with my money. I developed different opinions on items and purchases I made and my values changed. One of those things was “pop,” as it is referred to in the Midwest. I had always been an avid cherry cola drinker. I mean, c’mon on, we have a cherry festival in my state every year! I decided that I really didn’t need it and decided to go without it. Having a blog has been a tremendous savings motivator. When I see a large bill now, I try to reduce or eliminate it. For example, my property insurance was kind of high. I shopped around and ended up saving over $700 on the premium. I could not believe it. A lot of the money I saved has gone into my retirement savings. The $700 I saved by switching insurance went directly into my retirement savings. I am saving well over $2,000 a month into my retirement accounts and I display this on my blog as a retirement savings report. Calculating and completing the savings reports each month have been a big motivator for me to look for new ways to save money. During this time period of six months I referenced above where I rebuilt my financial foundation, I did a lot of research in personal finance. I would read these stories from other personal finance bloggers and remember thinking to myself, wow what a great way to share with others who may be in a similar life situation. I reached out to a few of them and was sort of shocked that most actually took the time to drop me a reply back. People like Jeff Proctor who really motivated me to start blogging and helped me get up and running with WordPress which was something I knew nothing about. Then I met other people down the road such as Aaron from PFFB who helped me get rolling with Pinterest and actually made me a few pins. There have been others who have offered help in smaller bits, whether it came in the form of coding or how to use Tailwind. Bloggers have consistently come forward to help answer my questions. This support system was so important because, in my mind, a blogging issue I was having that I thought might be the death blow to me was nothing more than a different plug-in to use! Yes, I can laugh about it now! I knew that my experience was unique. Most people do not go through such a financial transitional change as I did. My house sold and I left my utopian lifestyle. I moved to a townhouse that was 1/3 of the living space I had previously. No upkeep, no taxes, no bills. To have the freedom in your life to do whatever you want to do and not worry about money… That is one of the best feelings there is. I started a personal finance blog to share my story and advice about budgeting and personal finances to help people get to this freedom. Over the years, I have used complex budgetary models for my job. I have analyzed over half a billion dollar departments determining the best bang for the buck. Those models are in the process of being reformatted for individuals and household budgeting. I found a way to take my skills to a different arena and help people who need help and would really benefit. My story is an inspiration and can help others. Starting a personal finance blog was one of the best decisions I have ever made. What I have learned has been invaluable. I have learned to look at problems differently, value things differently, and look at my life differently. While I thought my old utopian lifestyle was an example of happiness, it wasn’t. It was just a lifestyle I had gotten in the habit of managing. That’s all it was. It was managing material items that are tangible symbols associated with a successful and happy life in our society. Starting up a blog made me realize that others are stuck out there just like I was. They are trying to walk financial tightropes every month when their bills come in. One person can make $25,000 and another can make $250,000; they both still walk the same tightrope and do the same balancing act every month if they don’t pay attention to their finances. And it goes on like that until they can find a way out. Being open to change is the key. Once you change your mindset, the world opens up to endless possibilities. It took me 15 years and a personal finance blog to realize that lesson. I can identify well with the dots. A blog can very well document one’s own progress and at the same time help others to gain a new perspective. In addition, it becomes a reference if someone wants to know more about it and you have already written about it. Thanks for having a blog! I love reading about other people’s journeys because it inspires me to stay on course. Yeah, my teenage self is also teasing my current self for the nerdy pursuits. I’m ok with it! Great post. Personally, its a combination of reasons, but mainly its to be challenged. I want to build a successful website, and am learning a TON along the way.